I’m a bit of a fragrance whore. Sure, I have my signature scents -- but given the opportunity, I play around quite a bit. So it’s no surprise that I have some new favorites to share with you! Discover the scents that have my pulse racing. Balenciaga Paris Eau de Parfum ($50-$135 at sephora.com): If you’re looking for a delightfully heady floral, this is the one for you. It’s rich without feeling cloying, while violet notes give it a vintage feel. It’s definitely a scent that will catch the attention of those around you. And the cut glass bottle with cracked enamel stopper? So chic atop the vanity. Donna Karan Iris Eau de Parfum ($120 at neimanmarcus.com): Before trying this, I wasn’t sure whether I would like it. I had the feeling it would feel a bit too grandmothery for my taste. But a few short spritzes later and I was hooked. The iris scent is empowering without becoming overpowering ... and I love the simple cylindrical silhouette of the bottle. D&G #6 L’Amoureux Eau de Toilette ($69 at sephora.com): From bergamot and juniper berry to cardamom and musks, this is a fragrance you won’t soon forget. It’s become my evening staple. And it’s even unisex, so you can share with your man! 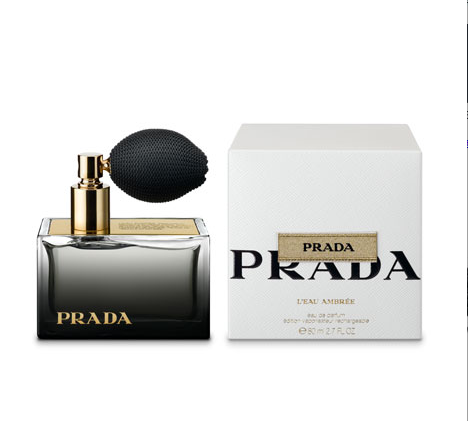 Prada L’Eau Ambree Eau de Parfum ($109 at nordstrom.com): I’m usually not a fan of amber scents, but with the balancing notes of rose de mal and cedrat, this becomes an intriguingly beautiful fragrance that I just can’t seem to get enough of. And who doesn’t want a gorgeous atomizer atop her vanity?